All participants must submit an entry form. If an entrant or member of group is under 18 years of age, a parent’s permission is required on the entrant form. The deadline for video submission is November 3rd. The video may not exceed 2 to 3 minutes. 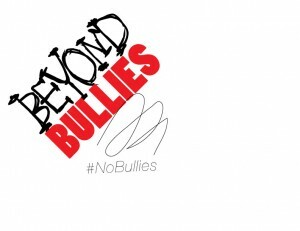 The winners of the competition will receive a prize that has a value of up to $500, and have their video featured on the Beyond Bullies website and social media pages. Entries will be judged on creativity, educational value and message effectiveness. The goal of the video should be to solve a bullying problem at school, in your community or online. All submissions will be the property of Beyond Bullies. Only original videos that have not been seen or uploaded on any electronic device will be accepted.